Excited! Aren’t you? So I am, since I found out about this great little app which brings Facebook Home styled chatheads for all the notifications on your Android device. Brought to you by XDA senior member crazyfool_1, this tiny little app is called Floating Notifications. Facebook Home was not a huge success however, people really appreciated the chaheads concept for the notifications. Now they don’t really have to depend on Facebook Home for the same. Chatheads are great when it comes to multitasking. You dont have to navigate away from your running app. 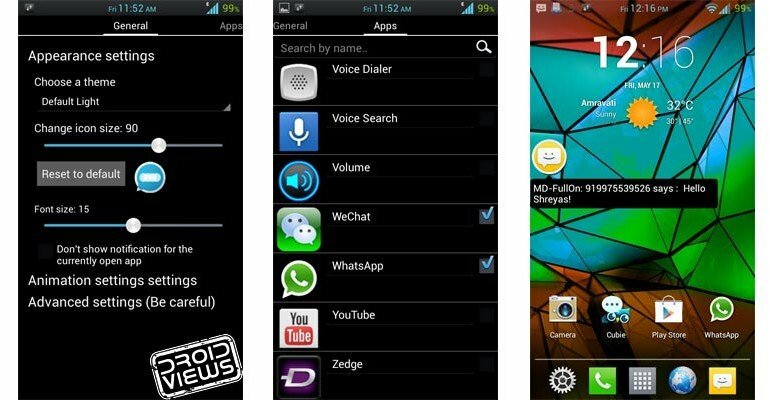 Floating Notifications displays the bubble-like app notifications for the apps you have selected. 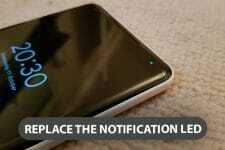 Floating Notifications has a simple and straight user interface and gets the job done with just a few taps. Next time you get any notification for the selected apps, Floating Notifications takes it over and generates a buble styled notification above the running app. 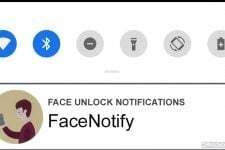 Apps like Whatsapp or Cubie Messenger which are the integral part of many people’s phone can also be benefitted with Floating Notifications. You can tap the current notification bubble to close the stack. Now swipe left and you will get a complete list of apps installed on your device. Select the apps which you want to get chathead notifications and just exit the app. Now again go to menu and open Settings, scroll down and go to Accessibility and select Floating Notifications and turn it on. That’s it! Developer of Floating Notifications warns us not to mess with advanced settings unless we have any problem with those settings. Closing the notification bubble will not remove the notification from your status bar. Nice to see you here! Keep up your good work:). Hey Rob, do you mind write a paid tutorial on compiling and creating an app for Android? It would be a great favor! I’ll contact you when I come back from holidays. Thanks!